Orkney is an archipelago to the northeast of the Highlands, home to some of the finest scenery, wildlife, Neolithic sites and whisky that Scotland has to offer. 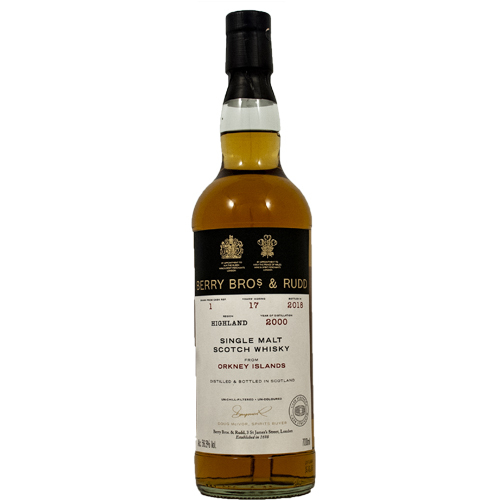 This exceptional Scotch whisky comes from one of its two well-respected distilleries. The nose suggest a perfect balance of Orcadian peat smoke and delicate vanilla from the whisky´s maturation in American oak. Honey and tablet notes offer furtherpromise. The palate is pleasingly complex, offering more honey and citrus fruit. A long and lingering finish shows wood spice and a resurgence of peat.